Dollhouse miniature - french chic planter in 1/12 dollhouse miniature scale. Hand created by me from scratch. This is a empty french chic planter, ready for you to put in your own fern, plant or flower! Use your imagination. Highly versatile! This can be used in many areas of your dollhouse shop or house. 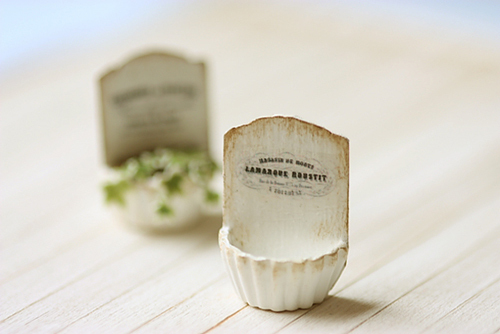 French chic planter measures 2.4cm tall by 1.6cm wide. Please contact me if you need more than 1 piece, or if you would like this in other colours. This is a dollhouse miniature toy for adult collection, not intended for young children.